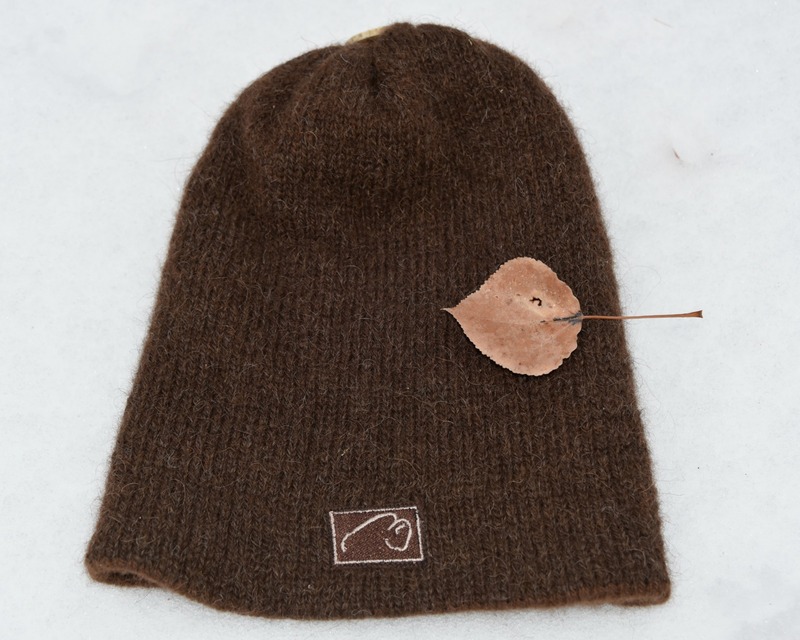 Just like our popular Bison Brain Warmer, only with additional length, making this hat uber warm. It is designed to be worn cuffed, which means most of the time you will have four layers of bison fiber over the forehead and ears. Rolling it down protects the neck from arctic blasts. 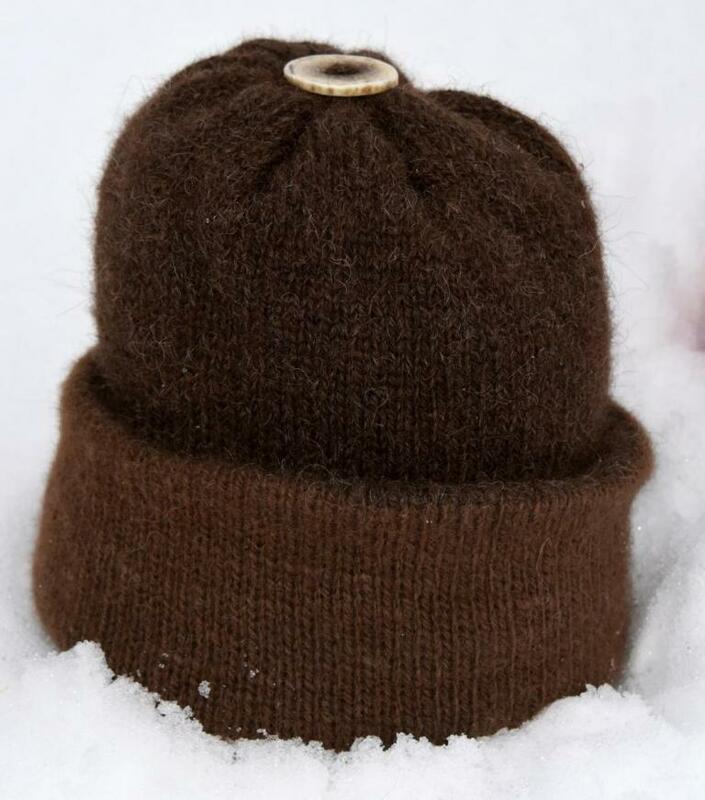 It is knit with our Bison Ranch Yarn ( 25/25/50 bison-alpaca-wool blend), and lined (12" with a 2" unlined section at the top for balanced heat exchange) with our luxuriously soft Bison Cloud Yarn (50/50 bison-alpaca yarn), and topped with a hand-cut and elk antler button. Price includes USPS priority shipping. Bought this hat in September 2017, but had to wait until now to review it! Utah had a heat spell, and a very warm fall, but last week winter arrived with day time temps in the low 30’s and nights in the 20’s or below. We even have snow! I am very glad I purchased the hat when I did. I am prepared for winter. The fit is excellent. I can wear it all day and forget I wear a super warm hat. This hat breathes, and while keeping my head warm, it is never too hot. The material is super soft but has enough tactile properties to feel the quality. The two-tone colors, I have brown and beige, compliment my A-2 Leather Flight Jacket Color in Mahogany. While I have other wool hats, this is my favorite. 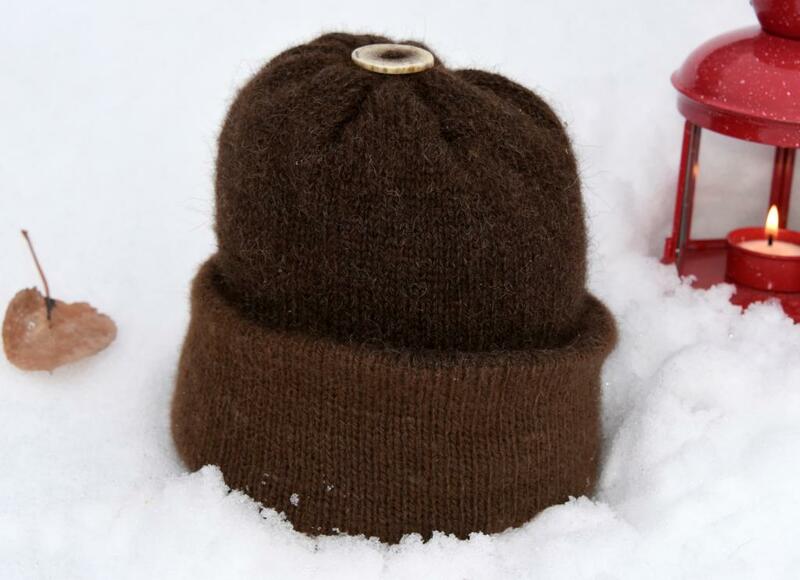 I am afraid when my adult sons see my new BISON WOOL HAT, I may have to order a couple more for them. I like to keep my hat just the way it is. 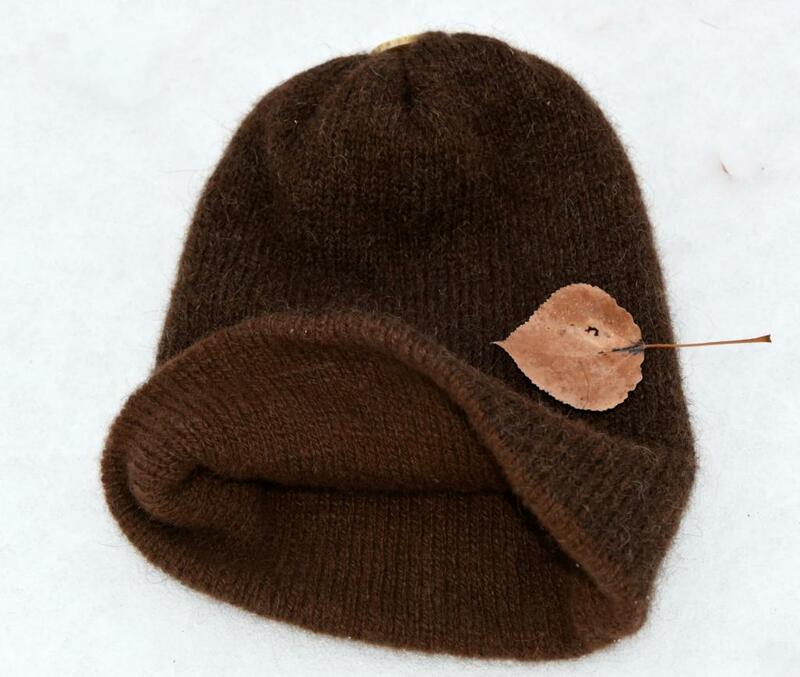 A great hat made of very unique, very warm and natural materials. A job well done! Thanks for your support and understanding answering all my questions during the ordering process and delivering a great hat!